Madam Speaker, Colleagues, special guests, friends and family. Madam Speaker, warm congratulations on your election. I thank you and my colleagues for your warm welcome. I begin by acknowledging the traditional owners and custodians of this land, both past and present. Today I am going to share a story – about myself, about my electorate of Indi, the power of community to reinvent itself, and I will tell you about Voice for Indi, the rural community movement that brought me to this place. I am honoured to be the representative of the people of Indi. I am grateful to my family, and some of the 700+ supporters and volunteers, almost 1000 donors and of course the voters who helped me to this place. Many have made an extraordinary effort to be here today. I can only imagine what you must have done – getting families organised, children, animals, farms cared for – up before dawn, packing picnics, organizing and car pooling and over 6 hours in buses up the Hume Highway! To the volunteers, all of you – who staffed the polling booths, ran offices at Alexandra, Wangaratta, Wodonga and Benalla, the door knockers, those who made the coffees, cuppateas and arranged food, the people who ran classes and shared their skills, the scrutineers, organisers of local gatherings, the young people, the lawyers, designers, marketers, diary keepers, accountants, the reporters, journalists and the ‘makers’ of all things orange: all of you: for your courage, your belief and conviction that we could do it. THANK YOU! In the 1800s, some five generations ago, my family left Europe in harsh times to make a better life for themselves and their children’s children’s children. Their courage and persistence is my foundation, like it is for so many Australians whose families emigrated here. On my father’s side Elizabeth Anne Brown arrived from County Cork in Ireland in 1860. She was 20. She died at the grand age of 87 and is buried in the Tallangatta cemetery – her occupation – proudly, farmer. Arriving in the Chiltern goldfields of North East Victoria she quickly met and married John Terrill, a miner from Cornwall, England. In 1875 they selected land in the Mitta Mitta Valley just below the town of Tallangatta. Barely a year later John Terrill was killed in a mining accident at El Dorado – leaving Elizabeth Anne to raise 6 children and 2 nephews. My family is rich with the stories of clearing the land, dealing with floods, fires, drought and the desperate struggle to meet the conditions to purchase the land. In 1890 Elizabeth Anne, 30 years after her arrival in Australia, made the final payment on the land and won free hold title. Her 4th child Albert, was my great grandfather. Her legacy to me? Courage, persistence, dogged determination and deep roots into farming and the rural communities of North East Victoria. She was a woman in agriculture before the term was even thought of. On the other side of my family, my great grandfather worked in the post office at Wodonga. His job was to travel over night on the train, sorting the mail so it would arrive in Melbourne ready to be delivered by 10am. My grandmother Rose Roberta Chapman was born in Wodonga in November 1888. She married Gladston Robert McGowan, son of Tasmanian pub owners, in 1920 and went on to become a teacher, mother of 6 children and matriarch. She is buried in the Yackandandah cemetery next to my mother, father, 2 sisters and brother, and where I too plan to be buried. Grannie’s legacy? A teacher, lover of stories and history, with a deep sense of social justice, community service and a wonderful sense of humour. And my parents: Paul McGowan met and married Marie Terrill, when he was a young Agricultural Scientist working at the Rutherglen Research Station. They lived, farmed and ran a business in the Indigo Valley, 20kms south of Wodonga, all their lives. I am proud to say I live in that valley, on my own small farm where I have conducted a rural consultancy business – up until the September 7 election. In the early days of my business the jobs were many and varied – lobbying for the establishment of a school for the Flying Fruit Fly Circus; home and community care in Wodonga, Tallangatta, Corryong, Beechworth, Chiltern, Rutherglen, Yackandandah; palliative care in the Ovens, King and Kiewa Valleys; mobile child care for farming and rural families. Through this work, I build extensive networks, gained first-hand knowledge of the challenges of delivering services in our valleys and towns. One size does not fit all and it’s a constant struggle to get rural voices heard. A highlight of these years was working with the Victorian Government Department of Agriculture as a Rural Affairs advisor and also travelling to Canada on a Churchill Fellowship to study rural women’s networks and their role in improving communication with governments. Then when I was 40, my mother died. This was a turning point for me. (A second one was being elected to Parliament.) But back to the first – I recall thinking, “Soon my life will be over and what will I have to show for it?” I returned to study: completed my Master’s Degree in Applied Science at the University of Western Sydney at Hawkesbury and learnt how to work with communities for change. The Australian Rural Leadership Program helped me grow in the art of leadership, understand the role of a shared vision and the power of networks in transforming rural communities. With this understanding, I decided to take a more active role in agricultural politics. I was an inaugural member of Australian Women in Agriculture, rising to become national president, participated at National Farmers Federation meetings and was elected to the Victorian Farmers Federation policy body. I learnt many skills: working with difference, building partnerships, chairing meetings, building teams, and embracing diversity. I became involved in international agricultural politics, trade and Australia’s role in feeding the world. I restructured my business, and became a consultant to rural communities with specialist skills in development, empowerment and transformation. 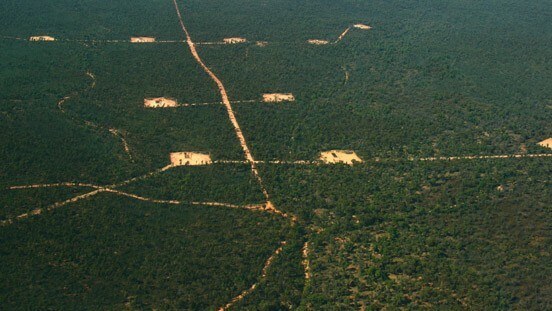 Working in Australia and more recently in Ireland, India and Papua New Guinea my clients were the national Rural Research and Development Corporations, (dairy, wool, sugar, horticulture) State and local governments and community groups. Teaching leadership became a passion. Together with friends and colleagues we taught community leadership skills and set up the Alpine Valleys Community Leadership Program. We ran leadership conferences. We talked about visions. We built networks. We wrote submissions. We grew our businesses. We all grew in skill, wisdom and confidence. We became a force. We began to find our voices – our community voices. Madam Speaker, with this brief introduction, you will see that I have deep roots and connections into the communities of North East Victoria. I have an absolute commitment to be part of Indi’s future. So let me share some information about Indi. 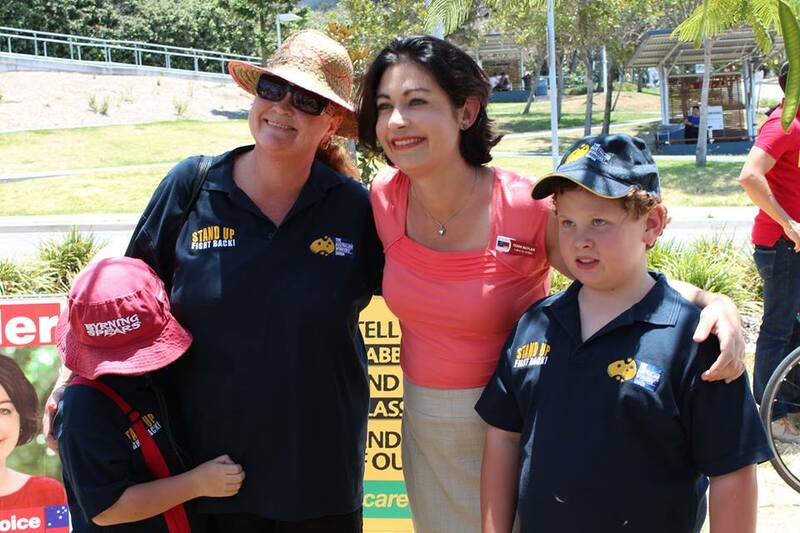 Indi is a foundation Federation seat. Our first representative in 1901 was Sir Isaac Isaacs who was educated in Yackandandah and Beechworth, my local towns. Isaacs went on to become our first Australian-born Governor-General. 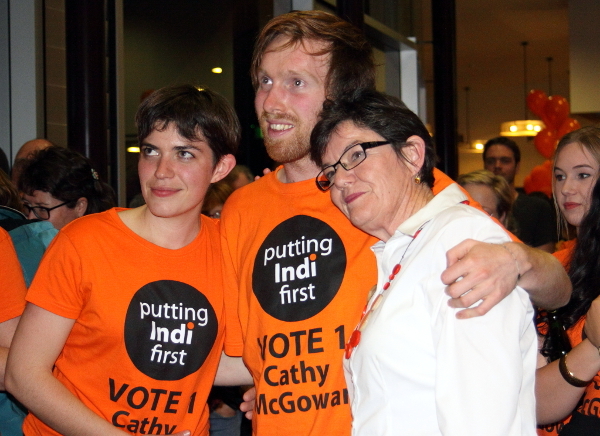 More recently, Indi representatives include the Country Party’s Mack Holton – as Minister for Repatriation, he was Indi’s first Minister, and Ewen Cameron, Lou Lieberman and Sophie Mirabella. I pay tribute to them for their public service, dedication, and commitment. In particular I acknowledge Mr Ewen Cameron, for the role he played as my mentor. I worked for him as an electorate researcher in the “old Parliament House” during the years of Prime Ministers Malcolm Fraser and Bob Hawke. They were heady days. I am delighted to reacquaint myself with friends from that time including some of the long serving library staff! Indi is the Wiradjuri name for the Murray River. A well named electorate as the rivers and how we use them are critical to the future of North East Victoria. Indi is blessed with 7 major watersheds: the Goulburn, Broken, King, Ovens, Kiewa, Mitta/Dart and Murray Rivers which contribute an estimated 50% of the water to the Murray Darling Basin. Our major industries include manufacturing, retail, tourism and agriculture. Our food and wine is exported all over the world. Our ski fields, rail trails and festivals provide entertainment to many. One of the outstanding features Indi are our small rural communities where people take things ‘into their hands’ – this expression became the name of a philanthropic foundation set up after the 2009 Black Saturday fires around Mudgegonga and Murmungee; communities like Yackandandah where residents started a community business -The Yackandandah Community Development Company, bought the petrol station, run a rural produce store and give half the profits to community groups; communities like Stanley where volunteers set up and run their Post Office. But not all is well: I believe that Indi has not yet (as my mother would say) reached its potential. Only 57% of 20-24-year olds have finished year 12, compared with 78% in Melbourne. Only 19% of those between 20 and 39 hold a bachelor degree or higher, compared to 31% across Australia. Many young people move away for work and study. In my home Shire of Indigo, there are 420 people between 17 and 18, but just 200 people aged 21-22. A similar pattern exists across the electorate. Other critical issues are infrastructure – access to transport, reliable telephone and internet coverage, jobs, education and health. We have a shortage of doctors, low levels of bulk-billing and poor access to specialist mental health services. These statistics have impact, its easy for people to feel their issues are not important. But now the story changes. Their questions, and the sense that all was not well in the good ship Indi, made me and others feel guilty. What would be our legacy? This question resulted in the birth of a community group: Voice for Indi. An incorporated body committed to building an active 21st century democracy based on engagement, respect and ideas, for Indi and even beyond. Voice for Indi conducted 53 kitchen table conversations between February and April this year, with 425 people from all parts of the electorate. They discussed what would make for a stronger relationship between people and elected representatives. They talked about what it means to live in the community of Indi, issues that matter and what makes for a strong community. In summary they said: Community matters. Politics matters. Representation matters. Infrastructure matters. Services matter. And, like other places in Australia, they wanted a representative in Parliament who would serve their electorate first, rather than a political party, and they wanted their vote to count – not to be taken for granted in a safe seat. They wanted to “do politics differently”. They had a vision for a community where people feel they belong and have a sense of purpose, where people pull together and help each other, where diversity, acceptance and tolerance are valued; a community that has quality services, infrastructure, education, jobs and health and opportunities for the next generation. With this feedback, The Voice for Indi report became the foundation for a community-based, grassroots election campaign that changed our community. A vision for how the future can be better. As the campaign gained momentum we were all surprised by the creativity and groundswell of support and creativity. Jenny put her sheep in orange T-shirts and drove them around Wangaratta, Corowa and Yea saleyards. Rex organised a campaign choir bus. Year 12 students made videos. Sophie covered shops in Chiltern with balloons and streamers and we kidnapped a Wangaratta Chronicle photographer on the train journey between Wodonga and Benalla. Nick trained the door knockers, Leah developed policy, Cam managed media, Lauren took over communications, Anne fed people, Denis managed logistics. Many of these people are here today – I encourage you to ask them for their story. Election night was euphoric – we all felt the hope, the optimism and belief in the power of community. Madame Speaker, with this strong history and the support of the Indi community I am so proud to be the first Independent Member for Indi. The Voice for Indi report guides me. I will listen: I will listen to the older people who have lost touch with their grandchildren, the teenagers who suffer with mental health issues (and their families), the people who know what it is like to feel hardship, adversity and yet get on top of it. I will turn up to the pubs: in Mitta, Dederang, Whitfield, Chiltern and Alexandra to hear people’s concerns. I will visit community education centres such as in King Lake, shopping centres in Wodonga, Wangaratta and Benalla, and the schools of Marysville, Walwa, Myrtleford and Yea, as well as the festivals in Beechworth, Bright, Swanpool, Mansfield and King Valley – and all the wonderful places in between. To the young people of Indi, I make a formal commitment to involve you in decision making. I will focus especially on those who live in rural areas who are disadvantaged because of poor public transport, patchy mobile phone coverage, terrible internet connections, fewer employment and educational opportunities. And I will work with communities who have suffered terrible losses of family and friends through devastating bushfires and floods to continue the rebuilding process. To the aboriginal people of Indi, I have committed to form an advisory group comprised of aboriginal people from Indi’s communities to advise me on issues such as health, education and employment. Today I also commit to making a public statement to recognize and acknowledge past mistreatments to the stolen generations, their families and communities as a result of the laws and policies of successive parliaments and governments that have inflicted profound sorrow on our fellow Australians. I will build partnerships to improve public transport infrastructure, access to telecommunications and health services, particularly rural mental health and work to reduce the red tape that hinders the growth of small businesses in our border regions. I will bring the voices and community of Indi to Canberra. I will work for a vision of a prosperous and caring community, where businesses grow, agriculture flourishes and where everyone can reach their potential. Madam Speaker, as this 44th Parliament begins its journey I support the Prime Minister and Leader of the House in their desire for a more respectful Parliament. The story of my election and the role of respect has resonance for all of us. In closing, I would like to quote from a piece of wisdom on a toilet door at Mittagundi, an outdoor education centre for young people in the King Valley. The future is not some place we are going to, but one we are creating, the paths to it are not found, but made, and the making of these pathways, changes both the maker and the destination. The people of Indi had to shout to be heard. Brilliant and inspired Cathy. A speech with real feeling and genuine effect. So proud to have you in our parliament, as many are. Thank you Cathy, you inspire me and give me hope for the future. I wish i were in your electorate but alas… Nevertheless, i am proud of you and your community for the marvellous achievement you have gained and i wish you all that your dreams and hopes will be fulfilled and that many other communities may follow your example. Thanks again. I was there to listen to Cathy McGowan make her first speech in the Parliament of Australia. It was a truly inspiring moment in my life and the lives of so many other people in the seat of Indi. Thank you Cathy for giving us back the opportunity to once again believe in ourselves and our communities. I particularly like the respect paid to the Indigenous people who still have much to teach us about ‘Caring for Country’. Cathy seems to be more concerned about nurturing a REAL quality of life for everyone rather than pursuing a larger bank balance for a few. Your election gives hope that the few citizens can still challenge the power blocks.